Gabriel Eggan, President of Chico Honda Motorsports, is one of the most positive, enthusiastic business owners you'll ever meet. His passion for riding is infectious and his love of the sport shines through to the customer experience. Gabe took a few minutes out of his day to speak with Choose Chico about what makes his business tick. Tell us a bit about the history of your company. Chico Honda Motorsports was founded in 1947 and serves Northern California. I'm the third owner and have owned the company for seven years. We are a customer service based company providing on-road and off-road motorcycles as well as off-road power sport vehicles. We sell parts, accessories, and apparel to support the sale of those vehicles. Our service department provides excellent repair and maintenance to the brands we carry as well as other brands. What inspired you to become a business owner? Why Chico Honda Motorsports? I have always aspired to own my own business but hadn't planned on owning a motorcycle dealership. My passion for riding and the people I surround myself with inspired me to take this chance. I had worked as a young man at this very dealership and when I saw it was struggling, it sparked conversations and led to where we are now. What would you say is your "special sauce" making you stand out from the rest? Customer service and premium quality product help us stand out from everyone else. Without quality product we can stand behind, and the customer service to back it up, we wouldn't have a business. Our customers would say we are best known for our service expertise, our great attitude, and our willingness to step outside the box to find what they need. Can you share a little-known secret about your business? Most people don't realize the large size of our building. From the front, it looks to be about half of its actual size. Now let's talk culture at Chico Honda Motorsports. Culture takes time and effort to create. It's always a work in progress, but we have created an environment where people are excited to come to work and look out for each other. We are one big team with a common goal and when you have helped a teammate achieve their goals, it feels like you have achieved yours. Let's take a deeper look inside Gabriel Eggan. Outside of riding bikes, what's your passion? It's hard to mention just one. I love adventure sports to my core and I always will. When I'm not in the great outdoors, I really love to cook. The kitchen is full of tools and cooking is my form of artwork. You can create so much with so little. I am obsessed with the hunt to find the best chicken wings. What about your business makes you most proud? I'm proud of how we help people in so many ways. We create joy, necessity, and possibilities for our customers. Riding isn't just a hobby for most of us, it's a part of who we are, and it shows. What would your employees say are the top three reasons they love working with you? Flexibility with schedules and family needs, growth and vision for the future, and the environment we have created here at Chico Honda Motorsports. Why did you decide to become a business owner in Chico? Chico was my home growing up. The quality of life is amazing if you can find a promising career in Chico. There was an opportunity for me to come back to Chico and create this career, so I took it. What's your first memory of Chico and your favorite spot? My first memory of Chico is playing in the water and on the jungle gum at Bidwell Park. My favorite spot in Chico is probably Salmon Hole in upper park or the sunset view from the top of Monkey Face. What makes you most proud of living in Chico? I am most proud of the beauty and outdoor lifestyle Chico has to offer. What would you tell someone is the "must see/do" if they have one day to spend here in Chico? I tell people to hike North Rim trail in upper park, swim at Salmon Hole or Bear Hole, and check out Sierra Nevada Brewery. Last question - if you could ride anywhere in the world, where would it be and why? That would be the Cape town circuit in South Africa. I have never been to that continent or seen the animals in that territory. There are beautiful ocean views and savannahs all while winding on a fun and adventurous road. This month we welcome a conversation with Tyler Smith, President of Matson & Isom Technology Consulting (M&I). If you've lived in Chico a long time, the name Matson & Isom is likely familiar to you. Founded in 1962, M&I was originally an accounting firm. The demand for technology services was so high that in 2000 they split off to form a separate venture. They retained the legal name, and the accounting firm is now operating as K-Coe Isom. 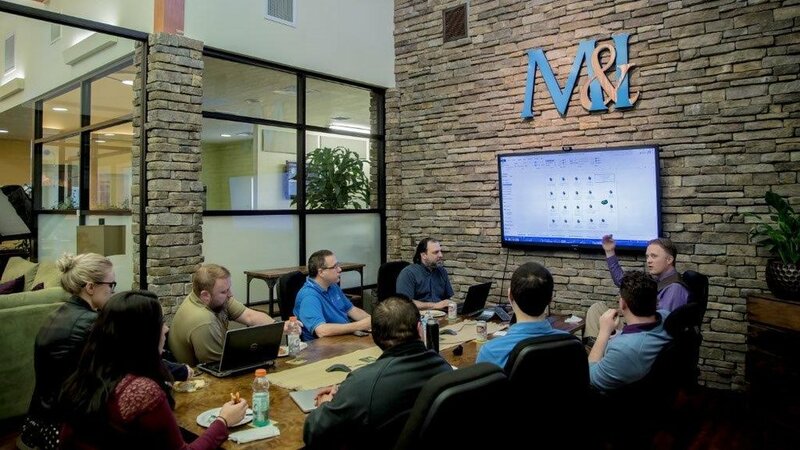 M&I is a consultancy that provides technology services primarily in northern California, however, we have clients all over the United States. Our focus is simply to help our partners to be more successful through the effective use of technology. We strive to be different, in that we provide IT support with partnership and respect as core principles. I started here as an intern right out of college in April of 2002. I was excited about the idea of being a consultant and helping people solve problems, and truly leveraging technology to make their business better. I didn’t want to be stuck in a specific niche, I wanted the opportunity to help people in different industries with different challenges. We focus on partnering with our clients, and always approach the relationship from a consultative perspective. Our goal is to understand our partners’ unique businesses and help our partners to make strategic technology decisions. We offer a great deal of expertise to support them in the journey toward leveraging technology for more strategic growth and success. For example, in our ClearIT Partner Program, we offer a series of training sessions known as the Productivity Series. These interactive training sessions are designed to help our partners and their staff be more productive and get the most out of tools they already own, like Microsoft Excel or Outlook. M&I Team hard at work. If I ask a local what you're best known for, what would they say? An accounting firm! (Laughs) Just kidding. We’re known for our people and our approach. Our ability to listen well and provide solutions, not just quick fixes. People know that when they work with us they’re gaining a strategic partner and not simply a vendor. Let's have some fun. What's a little-known secret about M&I? How would you describe the culture at your company? Our company culture is really framed around the respect we have for our clients and our belief in comprehensive communication. We’ve deliberately assembled a team of people who share that vision and can uphold that standard. The tech industry is one that changes quickly, and in order to maintain our quality of service, we make investments in our employees’ ongoing training and development to continually deepen their knowledge, and broaden the scope of what they can do. Your employees. If we were were to ask them, what would be the top 3 reasons they love working for M&I? The depths of the relationships we build with our clients and partners. As I mentioned, our core mission is to help our clients be more successful. I know a lot of businesses have core missions, but I’m proud that we work every day to deliver on that mission for our partners. Chicoans love fun facts. What's one about you, personally? What's your first memory of Chico? Trying to find a mechanic’s shop for my truck in college. This was in 1998, and at the time digital mapping was still a pretty new concept. So I got directions, and they said they were on Cohasset. I learned that day that there are about four different Cohassets in Chico, and I found every single one, except the right one… And then I decided to get a new mechanic. When you think about Chico, what makes you most proud? I love its proximity to mountains, to snow, to San Francisco, to Sacramento, to where I’m from in Siskiyou County. It’s a wonderful town that’s only about three hours away from skiing, or the ocean, or the city. I like that it’s close to all of those things, but still has a small-town feel with the economic and social benefits of it being a little bigger. Upper Bidwell Park, for the hiking. I love to take my kids up to Monkey Face. What's one tip you would give to someone who is discovering all Chico has to offer? Network! Get to know the people. There are so many corners in Chico that you’d miss if you didn’t talk to people who’ve either grown up here, or have lived here for a long time. There’s a lot of amazing stuff if you know where to look. Interested in having your business featured in the Choose Chico blog? Send us an email to get started. Chico photographer, Aaron Draper, joined us this month to share a bit about his company, Draper Photography, his passion for teaching, and techniques for getting his clients to have fun during shoots. I started Draper Photography in 2001. I’m a photographer that works throughout California and specializes in people photography. 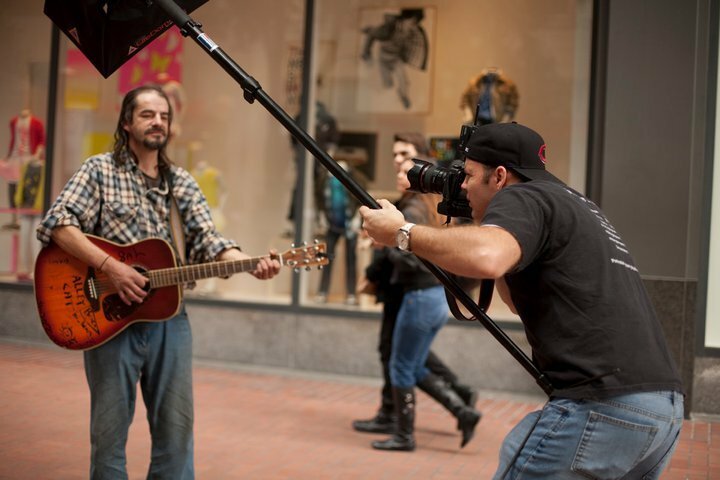 Whether it’s advertising, headshots, or consumer photography like family pictures or senior pictures. Any photography involving people is where I excel. I also offer eye tracking which is a specialty service using new technology that helps advertisers understand what their customers are viewing when they look at their webpage, print ads or any form of visual communication. What inspired you to become a photographer & want to teach others? I enjoyed working with people and had an art background so the two fields were a good fit for me. I also love it when people can enjoy how they look. So many people don’t like how they photograph and it’s a challenge to be able to photograph them in a way that they feel confident about. I thought about teaching because I really enjoy passing on information to others, especially those passionate about photography. I also see so much bad imagery posted online, I wanted to impact content creators at a young age so I could help them create better content. What would you say is your "special sauce" - the one thing that makes you stand out from everyone else? I’ve been told that people book me for my personality and not even for my photography. This is a great compliment because, in order to get people to feel relaxed for portrait work, you have to be great with people. If we were to ask your clients what you're best known for, what would they say? I’m best known for making people feel comfortable. They say that’s one of my biggest strengths – the ability to make people feel comfortable and confident. I was on America’s Next Top Model my third year in business. Describe the culture you cultivate in both your workplace and classroom. And, what would your employees/students say are the top three reasons they love working with you? Whether it be in the workplace or classroom I try to create an atmosphere of respect, passion, confidence that is free of fear. Top three reasons? 1. I’m authentic and genuine. 2. I’m funny. 3. I’m always learning and pushing myself. What project has made you most proud? Fun facts about you and your business. Go! I’m one of the few people in California that provides eye tracking. I was once on a competitive jump roping team. Sometimes I have my subjects do things that I don’t intend to photograph – just to see them do it! (jump up and down, stick your tongue out, spin in circles, etc.) I purchase Happy Meal toys whenever I photograph small children so they can have a small present. Why did you decide to start your business in Chico? I relocated to Chico from San Francisco after grad school because Chico State offered me a teaching job. What is your first memory of Chico? I went to high school in Oroville so Chico was always the place we went for movies. We didn’t have a theater in Oroville when I was in high school so we always came to Chico to do anything. I remember watching Wayne’s World at the Senator theater and it was HUGE. There were so many people packed in there that people were sitting in the aisles. What makes you most proud about living in Chico? I love the small community feel and I actually think it’s nice running into my students when I’m out on the town. Your favorite spot in Chico? I like mountain biking so I’m often up at Upper Park but I also like people watching downtown. I’ll frequent Kona’s, Upper Crust (cherry pie), GreenLine Cycles and Ellis Art Store (I do calligraphy and some freehand art). You meet a stranger who has one day in Chico and you're their guide. Where would you take them? Well, I’d want to take them out to the parks like One Mile or Five Mile because I think the proximity to nature is something unique about Chico. I’d also take them to eat at the Banshee then I’d take them to the Pageant for a movie. Last question. If you could photograph anyone/anything in the world, what would it be and why? Johnny Depp and Scarlet Johansen. I think these people would photograph themselves. Thank you for your time, Aaron! Founded in 2002, Morrison & Company provides specialized consulting services and grant writing for clients in the US and beyond. Turns out they're not only exceptional at what they do, they're exceptional at having fun while doing it. We sat down with Toni Scott, one of Morrison & Co's four principals, to find out more. I have been with the company for six years, beginning as a consultant. I am now one of four owners in the business and lead our competitive grants practice. We have 11 full-time professionals working company-wide, all in our Chico office. 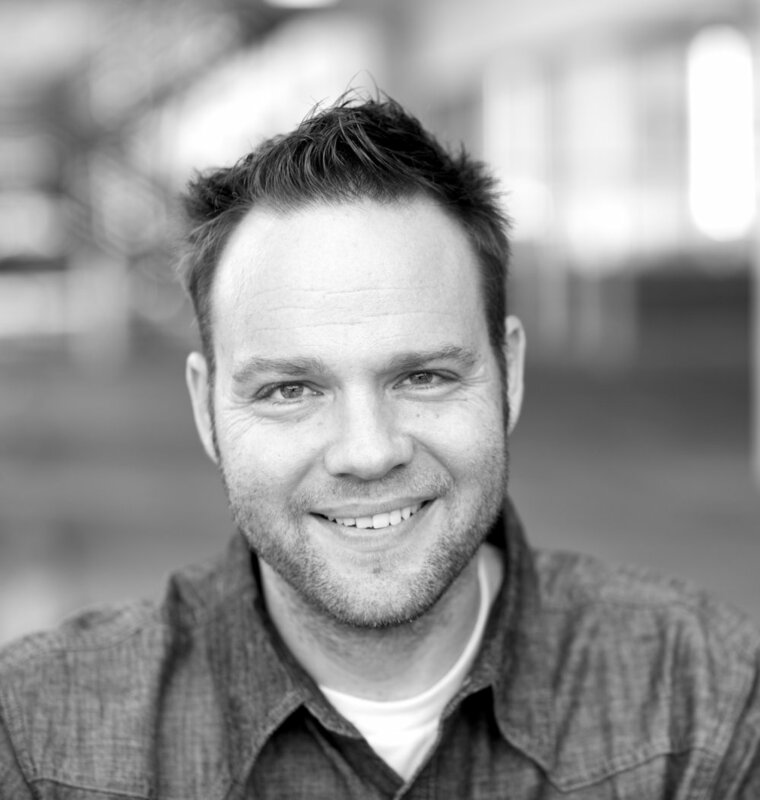 I joined the team because of the opportunity to work directly with other businesses. In the type of work we do, we have the chance to learn about many different industries and build relationships with so many different people: from small farmers to marketing professionals at billion dollar companies. No day looks the same and we have the unique opportunity to work on a wide variety of projects in a wide variety of industries. Morrison & Company is a unique consulting company. Tell us more. We provide specialized consulting services including business planning, interim/outsource executive assistance, "People" solutions (e.g., recruiting, leadership development, HR), and specialized grant writing. We help our clients to find the right people, strategically grow in the right direction, and find the right capital to accomplish their goals, all with us, a trusted advisor, by their side. Our clients have included a wide variety of organizations including for-profit businesses, individual farms and ranches, start-up businesses, small businesses, governmental entities, economic development corporations, agricultural cooperatives, universities, and other groups. A significant amount of the work we do is in food and agriculture – these clients grow crops, and make and sell a lot of the food and wine you see on grocery store shelves. Every remarkable company has its secret sauce. What's yours? You can’t really open a phone book and find someone like us – and we like that. The work that we do is out of the box and that means we are too. We have analytical accountants working alongside creative writers and we sharpen each other well to provide our clients an unparalleled experience. Why did you decide to locate in Chico? Do you serve clients beyond the area? We’ve proudly been within the city limits for a decade! Our business began just down the road in Durham but the Chico office opened in 2007. We’re everywhere! Most of our work is completed in California, as we work heavily in food and agriculture and California is the number on agriculture state. But we have clients across the United States. Speaking of Chico, what's your first memory here? My first memory was actually coming to Chico when I was 15 for an FFA Leadership Conference at Chico State! Funny – I ended up studying agriculture business at Chico State and now work with many Chico-based agriculture companies. What makes you most proud of your business and share an example of what your business is really all about. What makes me most proud is helping other businesses grow and succeed. Perhaps this isn’t what we’re all about, but who the people we work with are all about. Many of our clients are as deeply invested in us as we are in them. We’ve been invited to our client’s birthday parties, received wedding presents from them, and have had them ask us to be a part of some of their most significant moments in their company’s history. We really are more than grant writers or interim controllers to many of our clients – we’re their trusted business advisors, their cheerleaders, and their confidants and they give us an incredible opportunity to walk through life together professionally and personally. Describe the company culture at Morrison & Co.
We eat a lot. And eat a lot together. Which is great when you do so much work for clients in the food and wine industry – it’s always research! Every month, we ask members of the team to invite out another member for a meal, which can include spouses – we call them MoCo meals, and the company picks up the tab. It’s a time to get to know each other on a deeper level and allow our team to invest in one another outside of the office. Our measuring stick for the quality of our work is high, but there’s an even higher bar for the level of grace we extend to one another. What do you love most about living in Chico? The amazing community. I love living in a town that is so invested in this place – City Council meetings are well attended, the Letters to the Editor sections of the newspapers are always filled, and I see Park Watch volunteers every time I’m in Bidwell Park. This is a place that inspires citizens to be generous with their time and we all benefit from it. Thank you for your time, Toni. Let's leave with a few fun facts about your team and/or company. We’re a young team – the majority of us are millennials or Gen X-ers. We’ve never experienced the negative stereotypes some might have of millennials. Our team works long hours, weekends, and every person is incredibly dedicated to our work and the community. We try to do a service project together at least once a quarter. We have spent time weeding and planting flowers at the Jesus Center Farm, assembling snacks for the Boys and Girls Club, and volunteering at a temporary shelter when Oroville was evacuated due the issues with the Oroville Dam. To learn more, please visit Morrison & Company's website. Just off 8th Avenue at the intersection of Humboldt Road and Bartlett lies one of Chico's longest running companies - Square Deal Mattress Factory. A "micro-factory" of high-quality mattresses, bedding, and custom furniture, Square Deal still lives by the principles on which it was founded 97 years ago. We caught up with Richard Lash, the 3rd generation owner, to learn more. In 1920, Ennis Rife founded Square Deal Mattress Factory & Custom Upholstery. Throughout the years, the Chico Made design was based on firmness consistency, breathability, and durability. We stay true to those design principles today. We engineer our mattresses to provide you a great night's sleep, using proven craftsmanship, new sleep innovations, and quality USA materials. WHAT WAS YOUR GREAT GRANDFATHER'S MOTIVATION FOR STARTING THE COMPANY IN 1920? WHAT KEPT IT IN CHICO ALL THESE YEARS? Ennis, or EV as he was fondly called, founded this company four generations ago to support his mother and sisters. His great-grandchildren carry on his philosophy of treating every one of our customers as one of our own family. Keeping it in Chico for me was the realization I could become successful with an out of the way location. People would seek us out even though we were not in a shopping mall or typical retail location. I started working for my grandparents August of 1970 as I went to college at Chico State. I remember being four or five years old sitting on a stool next to my grandmother as she sewed the mattress covers at the Square Deal Market located next to the factory. Neighborhood kids would come and buy Penny candies or sandwiches. It's for the love of Northern California that we have remained in Chico and opened stores in surrounding cities. DESCRIBE YOUR COMPANY'S "SPECIAL SAUCE"
We live, sleep and breathe the business of comfortable bedding, but more importantly, we are focused and are about the quality of sleep of our customers. A good nights sleep equates to good health. WHAT IS YOUR COMPANY BEST KNOWN FOR? We are a micro-manufacturer of two-sided mattresses. Most manufacturers have moved to one-sided to save costs in material and shipping. We've stayed true to our roots and the promise of value to our customers. Two sided means you get twice the life out of your mattress. WHAT IS A LITTLE-KNOWN SECRET ABOUT YOUR BUSINESS? We're always delighted to meet fellow lovers of sleep and we won't rest until they have everything they need to thrive. Square Deal Mattress Factory and Upholstery has always been build by and for family. It's at the heart of everything we do. 1. We are family oriented. We know family comes first and are flexible with hours. 2. There are many different areas to grow personally and in the company with onsite training. 3. We offer competitive pay, benefits, and bonuses. WHAT MAKES YOU MOST PROUD OF YOUR COMPANY? We stand behind our family's legacy and traditions in the belief that building a higher quality mattress means a higher quality sleep for you and your family - and a higher quality sleep equals a higher quality of life. Get the rest you need to live the life you want. WHAT MAKES YOUR MOST PROUD OF LIVING IN CHICO? Our tight knit community who strongly see to support local business. The reserved land, like Bidwell Park. I love that within short periods of time you can be in the city, at the ocean or enjoying the mountains. FOR PEOPLE STILL DISCOVERING WHAT CHICO HAS TO OFFER, WHAT TIP WOULD YOU SHARE? Bring your appetite, we have amazing restaurants. WRAPPING THINGS UP, CAN YOU SHARE A FEW FUN FACTS ABOUT SQUARE DEAL? Sure. Founder E.V. Rife established the business when he was 16 years old after graduating from the old Chico Business College inthe Waterland-Breslauer building. In 1920, Humboldt Avenue was the main thoroughfare in and out of Chico. For three decades Square Deal Mattress Factory was located on the main drag through Chico until the late 1950s when Highway 99 was built, 8th and 9th streets became Highway 32 and traffic was redirected. 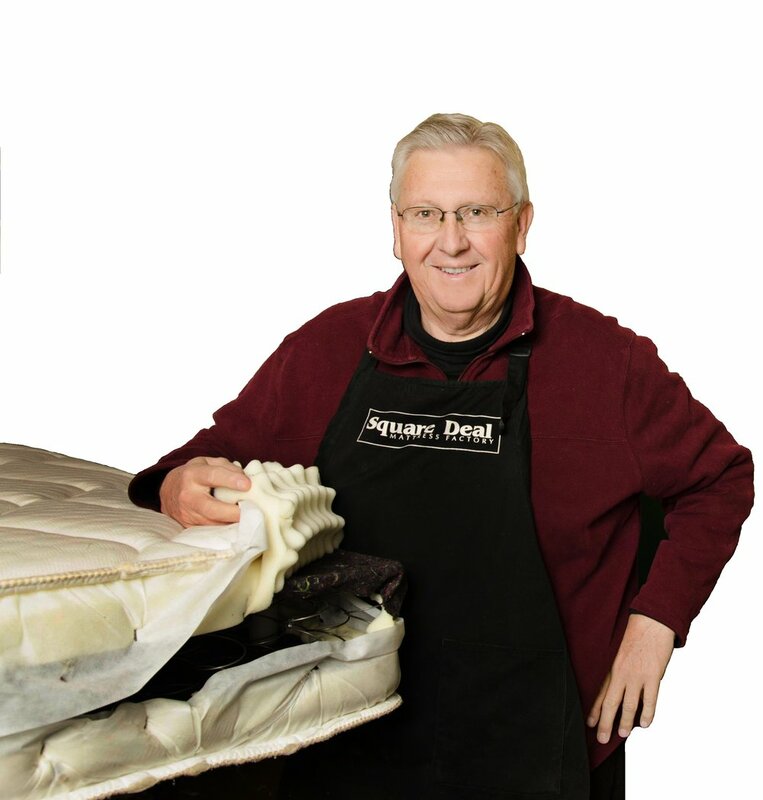 Square Deal Mattress Factory has the distinction of being a 4 generation proprietor and the oldest manufacturing and upholstering establishment in the area. For more information or to visit their showroom, please visit the Square Deal Mattress Factory website. Interested in knowing how your employees really feel? That's the lead line on the home page of Compini's website. This Chico start-up, founded in 2015, believes every company should be as great as its people. We sat down with Co-Founders Patrick Carroll and Andrew March to find out the details behind their venture. Compini offers organizations a safe and secure online environment in which to facilitate communication, particularly employee feedback from the bottom up. This allows management to identify both challenges and opportunities faster and more accurately than traditional methods permit (e.g. employee surveys, in-person reviews, suggestion boxes). After two years of operation, Compini’s empirical data corroborates leading academic research and industry sentiment: Employees who know they’re being listened to are happier and perform at higher levels than those who do not. Compini is the go-to site for the most useful and comprehensive employee feedback. We help create a culture of continuous improvement while ensuring alignment between different parts of an organization. WHY DO YOUR EMPLOYEES LOVE WORKING AT COMPINI? Our vision is that every organization can be as great as its people, and we strive to live up to this ourselves. Each member of our team is ambitious, caring, passionate, supportive and experienced in their own way – we strive to create an environment where everyone can make a meaningful contribution while continuing to deepen their own skills and experience. WHAT MADE YOU CHOOSE CHICO TO START YOUR COMPANY? Chico is a unique city that offers solid support to entrepreneurs (e.g. ChicoStart), access to a leading university, formidable local talent, and good work/life harmony. Our success does not depend on living in New York City or the Bay Area, which has traditionally been viewed as a prerequisite. Visiting with high school friends who attended Chico State. GIVE US A GLIMPSE INTO COMPINI'S SOUL. There are many people and companies in Chico who have provided us with moral and business support. In turn, we are big supporters of ChicoStart’s Tech Talks, a great place to meet people who share their wisdom in helping entrepreneurs face the challenges associated with growing a new business. We want our culture to reflect our values of integrity (trust is our only product), adaptability (understanding each customer’s unique needs), and tenacity (when you’re small, it can be a long process in getting prospects to care about what you do and the value you offer). Friday Pales are always good, too. WHAT ARE YOU MOST PROUD ABOUT YOUR BUSINESS SO FAR? We’re proud of our team and the employees that use Compini – we’re helping people create better workplaces for themselves and have the ability to build a real business around that. We derive meaning from our work in helping employees do the same while building greater trust and transparency within organizations. YOUR FAVORITE PART ABOUT LIVING IN CHICO? The opportunity to be part of a great “human-scale” community that’s close to the outdoors. To find out more about Compini's service, please visit their website. Wild Ink Press Founder Rebekah Tennis, husband Matt and three adorable children. When it comes to creating with passion, look no further than local letterpress studio owner and designer, Rebekah Tennis. We asked Rebekah a few questions about her company, the culture, and why she chose Chico. I started Wild Ink Press­ in 2009, springing out of a desire to create a cherished, finished product. My BFA is in Graphic Design, and after working both in a corporate design firm and as a freelance designer, while I loved my job, I found the nature of branding design to be a frustrating factor - Websites getting tweaked over and over, logos stretched out of proportion, with no finality to the work. I longed to create art that was both finished (forever!) and cherished. Hence, Wild Ink Press was born, to create beautiful paper goods that others would value and enjoy. My husband Matt listened to my wild-haired ideas and we both took a series of letterpress classes at the San Francisco Center for the Book, then made the plunge and purchased a 1908 Chandler and Price Platen Press on Ebay. That was what started it all! Wild Ink Press is a little letterpress studio in Chico, up in northern California. We design and manufacture (made in our space from start to finish): witty and pretty greeting cards, stationery and other paper goods in our downtown shop renovated from an old soda bottling plant. We keep old printing machines and techniques alive, but liven them up with fresh artwork and zingy prose! Our paper goods are eco-produced from recycled stock and also 100% made in the USA (by us) for you. Every company has a distinct personality. Tell us about what you’re best known for and why. Our greeting cards are clever and humorous and colorful and kind, without jabbing or malice. Dare I say, it is possible to be funny without snark?! I feel a good card should make both the person sending it and the one receiving it feel smarter, happier and more valued. Our pressman and production staff are true artisans who love what we are crafting, so the attention to detail that goes into even a single letterpress card is amazing. When you send a card from us you should know it has been labored on for hours and touched by at least four people who believe in excellence. You feel a distinct vibe when you walk into your shop. How would you describe your company culture? Chico is an idyllic place to be a family and an independent business owner: bikeable, a lively college, lots of art and culture, a respect for agriculture and community and one of the best farmer’s markets in the world (seriously, it’s been documented). I would say our fun, vibrant open workspace, the low-key and friendly environment that inspires camaraderie, and striving together for the excellence that our combined labor creates in the finished product. Why did you choose Chico and can you share your first memory here? It’s where we lived, as my husband’s third generation family farm is located here, so it seemed a natural fit. Chico is an idyllic place to be a family and an independent business owner: bikeable, a lively college, lots of art and culture, a respect for agriculture and community and one of the best farmer’s markets in the world (seriously, it’s been documented). My first memory? My husband is from Chico, so he brought me up here (to Forest Ranch, actually) to meet his parents when we were getting serious. The Upper Crust was the first place he took me downtown as it was his favorite coffee shop and a regular haunt from his college days. Think back to the beginning years of Wild Ink Press. What story comes to mind that showcases the spirit of your company that holds true today? I remember our first order from stationery chain Papyrus, the turn around time was quite tight. We were still in our old garage behind our house, and everybody banded together to get it done! Matt was printing both colors on two presses simultaneously, I was scoring the cards on a foot treadle press, and then passing them off to Carrol who was packaging them in cello sleeves with envelopes and then Elizabeth (suffering from a bad head cold but there nonetheless) would load them into the 150+ individual store boxes to label and ship. Whew! It was quite the day, but it showed our commitment to teamwork, quality, excellence, and deadlines. It was probably my biggest early #getitgirl moment, but it didn’t involve just me, but the whole team. I remember in 2006 walking into a shop in Georgetown DC (Pulp DC), right on the main drag of M St NW. It was HUGE, filled with paper products and stationery and right then I thought it would be the coolest thing in the world to be carried there. And you know what? They were one of the first shops to carry our cards. They have since closed, but it’s a strong memory of reaching for your best dream and achieving it (and then some!). We like to wrap up our interviews discovering a few fun facts about your business. Ready, Set, Go! Our studio is in an old soda bottling shop (Bowman’s Beverage, as was, before it became the old MidValley Title in the late 50s), and when we were renovating we found an old vat of Nehi Grape Soda Concentrate wedged between the rafters! It looked important (dare I say it had even become structural?) so we left it right where it was. Thank you, Rebekah, and thank you for choosing Chico to live, work and play! Around the world, Sierra Nevada’s craft brews are ranked among the best. Around Chico, Sierra Nevada is known as much for their restaurant and Big Room concerts as their beer (which we also revere). Their Oktoberfest tickets sell out within mere hours. Sierra Nevada’s sustainability efforts are also legendary. The EPA named them Green Business of the Year in 2010. Their innovations go well beyond the 10,751 solar panels installed in Chico. You will find locally raised livestock that were fed on spent grain from the brewery on their menu. The Chico facility boasts its own waste water treatment plant and a 2MW microturbine system. If you drive by at the right time of year, you will see sheep conducting weed control in the demonstration hop yard. Founded in Chico in 1980 by Ken Grossman and Paul Camusi (who later sold his shares to Grossman), Sierra Nevada opened a second brewery in Mills River, North Carolina, in 2014. Sierra Nevada is best known for our Pale Ale—the green label provides easy recognition. As proud as I am of that product, I’m even prouder that we’re known for producing beers that are consistently of the highest quality. Being able to make a product on the scale that we do without flaws or variation is difficult—we do a great deal of quality control to ensure that Pale Ale, and all of our products, tastes the same no matter where you get it. How did you end up in Chico? I landed in Chico after a post-graduation bicycle tour and have been here ever since. I was initially drawn to the town for its bicycling and other outdoor activity opportunities, as well as its laid back feel. When I decided to open my own brewery I knew it would be in a small, rural area in California. I looked at other options but found that Chico met our needs the best. Being situated at the foot of the Sierra Nevada mountain range was also definitely part of the appeal. I was motivated to start Sierra Nevada by my passion for brewing and a sense of restlessness when I was in my twenties. I spent my first years in Chico running a bike shop and then opened my own homebrew shop. I enjoyed both pursuits, but there came a time when I knew I’d never be satisfied if I didn’t open my own brewery and see if it could be successful. There were very few breweries in America by the 1970s and most of them produced some version of a bland pilsner. I wanted to make the kind of beer I wanted to drink—hoppy and flavorful. I knew it was a long shot, but I had to try. The first few years were really hard. My partner and I thought we had a good business plan, but we underestimated how much capital we needed to get the brewing equipment we needed. I took classes in welding and refrigeration at Butte College so that I’d have the skills to retrofit old dairy equipment into brewing equipment; using salvaged equipment saved us money, but it also took a lot more time and effort. It took us much longer to open than we anticipated, but I was determined not to start selling beer until we could produce our Pale Ale consistently. When we finally got there in the spring of 1981, my partner and I made our first sales calls in downtown Chico, carrying an ice chest of beer with us. How has Sierra Nevada changed over time? Sierra Nevada has grown drastically since 1980. When we brewed our first batch of beer we had three employees (myself, my partner, and a part-time employee). Now we have more than one-thousand employees spread across the country and two breweries. Even though we struggled financially the first few years, a lot of that stemmed from needing to find a way to increase our capacity. Brewing infrastructure is not inexpensive, so we put a great deal of what we made back into our original Gilman Way brewery. Then, in 1986, the San Francisco Examiner featured an article about Sierra Nevada in their Sunday magazine. “The Beer That’s Making Chico Famous” was really a turning point for us and we were in a constant, frantic state of growth after that and soon had to look for a new location. Still, when we originally designed the 20th St. location, we thought we’d be lucky to get to 60,000 barrels per year (for reference, we’ve since crested one million barrels per year). Our pace never really slowed down, so neither did our growth. The 20th St. brewery has changed enormously from when we opened it. It feels like we’re in an almost constant state of construction. These days, much of it is driven by our need to create work space for our growing employee body. For a long time, we didn’t do much marketing and relied on word of mouth promotion instead. As the craft industry has taken off and the number of American breweries has grown exponentially, we’ve had to readjust our thinking and bring on a bigger sales and marketing staff to help us compete and remain successful. It’s certainly a change in how we operate since we were a production-focused company for so long. I think we’ve grown into the shift in the last few years and have found a middle ground between production and marketing that works for us. Our company culture remains very driven by our humble beginnings. I am innately frugal, a trait that helped a lot in our early years when money was constantly short. We’ve always lived by the mantra “reduce, reuse, recycle”—at first because we had to, but now because it’s just the right thing to do. I’ve always been determined to find a way to leave the smallest environmental footprint as possible. The brewing process is inherently resource intensive, but my employees and I always look for ways to use less. Saving energy and water has always played a huge role in how we work. I’m also happy to invest in new technology that might help us be more sustainable—sometimes doing the right thing is more important than return on investment. Some people have described Sierra Nevada’s company culture as “work hard, play hard,” and I think it fits. We demand a great deal of effort from our employees, but we also try to celebrate our successes. Being able to maintain Sierra Nevada’s culture was something our leadership team talked about a lot when we decided to open a second brewery. We knew it would be hard to replicate what we’ve done here, but one of the things that drew us to Asheville, North Carolina, was how similar it is to Chico. It has the same small(ish) town feel, emphasis on enjoying the outdoors, and pride for local products. Profile: Cascade Orthopedic Supply, Inc.
Cascade Orthopedic Supply, Inc. is the largest independently owned orthotics and prosthetics distributor in the nation. The company distributes a broad range of products from 300 suppliers. Cascade is committed to providing their customers with the service and support they need to improve the quality of life for those affected by limb loss. The company was founded in Seattle in 1974 and moved to Chester, California, under the ownership of Jerry Leavy in 1977. Cascade’s headquarters relocated to Chico in 1999. They have four distribution facilities located in California, Texas, Illinois, and Pennsylvania, allowing overnight delivery anywhere in the contiguous United States at published ground rates. Q&A with Jeff Collins, President of Cascade Orthopedic Supply, Inc.
Share a bit of company history. The company was originally founded in Seattle by a bilateral, upper extremity amputee named Jerry Leavy. In the 1950s, Jerry filmed “A Day in the Life of an Amputee” in order to spread awareness about his challenges as an amputee. Jerry was an avid pilot, uses body-powered hooks for his extremities, and still resides in Chester, California. Cascade is known industry-wide as the largest independently owned distributor, supplying a broad range of prosthetic and orthotic products to clinicians across North America. Cascade has more than tripled in size and remains dedicated to offering friendly service, reliable delivery, and streamlined operations. We have been serving the O&P industry for over 40 years and continue to grow and adapt our operations to provide enhanced value to customers and growth and development opportunities to employees. Cascade supports and funds initiatives across many amputee advocacy groups like the Amputee Coalition of America (ACA), the Orthotic and Prosthetic Activities Foundation (OPAF), the Challenged Athletes Foundation (CAF), and the Shriners Hospitals for Children. I currently hold leadership roles within the American Orthotic and Prosthetic Association (AOPA) and the California Orthotic and Prosthetic Association (COPA), demonstrating our legislative commitment to the industry. How did Cascade land in Chico? The Cascade HQ was relocated to Chico in order to provide the service and support necessary for our customers. By moving to Chico, Cascade was able to secure a location next to the UPS Transit Hub for maximum logistical efficiency. Chico also provided Cascade with access to a larger recruitment pool of personnel. What is your favorite part of living in Chico? Chico is a great place to raise a family, run a business, get outdoors, and stay connected within the community. Chico residents benefit from a lower cost of living, improved quality of schools, accessibility to recreational activities, and decent proximity to more urban areas like San Francisco. Chico is focused on supporting local businesses and driving revenue into the local economy. The Farmer’s Market, Taste of Chico, and other local events capture the essence of the people who make this community so unique. Cascade is locally known as the “good citizen,” actively staying involved in the community, whether it be by providing input on the city’s general plan or fueling economic development activities. Local initiatives have been focused on bringing PACE (Property Assessed Clean Energy) funding to the North State, actively serving on the Chico Chamber Board, advocating for community neighborhood groups, and supporting the development of the Comanche Creek Greenway. Since its invention in 2004, Klean Kanteen has become widely recognized as a leader in reusable water bottles. Despite their tremendous growth and product distribution spanning the globe in 42 countries, Klean Kanteen is still very much a family company. It all started when inventor Robert Seals saw the health issues associated with plastic and lined aluminum reusable water bottles before they became widely known and publicized. He knew there had to be a healthier alternative and soon came up with the idea for a vessel for personal hydration made out of safe, leach-free stainless steel. Cobbling together a prototype made from items found at the local hardware store, Robert paved the way for stainless steel as a safe, durable alternative and launched the first 27 oz. Klean Kanteen in 2004 to a receptive audience. A revolution was born. 2005 was a pivotal year for the brand. Robert, as an inventor, wanted to see his product bloom. His mission was to provide a healthy, safe, on-the-go drinking vessel and having done that, it was time to let the brand soar. He connected with the Cresswells, a long-time Chico family, who had an established distribution company. What started out as a business proposition turned into so much more. The Cresswells soon realized how important the product was as a vehicle to talk about the negative health effects of plastic and, eventually, the battle against single-use waste. Siblings Jeff Cresswell and Michelle Kalberer took the reins firmly in hand and together, with the mentorship of their father Darrel Cresswell (“The Dude” as he’s fondly known around the office), embarked on a life-changing journey that has forever shaped the way we look at reusable water bottles. Things were about to get interesting. In 2008, the green industry burst wide open. An Inconvenient Truth was released two years earlier bringing attention to global warming and igniting a firestorm of attention to all things green. BPA (bisphenol-A), a chemical found in hard plastics and food and drink can liners, was garnering a lot of media attention as the reality of its adverse effects on the human body became public. At the same time, the war on single-use waste was ramping up. Both of these scenarios placed Klean Kanteen in a prime position to capitalize on a receptive audience and continue to spread their message. Through boots-on-the-ground marketing involving events, media appearances and outstanding messaging, the company saw sales soar. As the company gained traction both in the US and abroad, Jeff and Michelle, vowing to keep the family feeling within the rapidly growing company, realized the importance of culture and began implementing programs and activities that were fun, impactful and aligned with their mission to give back. Klean Kanteen leadership believes strongly in encouraging and supporting consumers in making sustainable and healthy choices. They also hold themselves to the same goals within their company. Klean Kanteen is a member of 1% For the Planet and as of 2014, they have donated one million dollars to charities dedicated to preserving and restoring the natural environment. On a more intimate level, Klean Kanteen sends employees to places like Yosemite to help with park clean up and participate in youth programs that encourage exploring and enjoying nature. Opportunities to partner with other environmentally committed companies are abundant. Clif Bar is one of those companies. Klean Kanteen sends 2 employees each year to participate in their projects such as restoring wetlands, creating community gardens in the Bronx and building straw bale houses on reservations around the country. The best part of all this? Klean Kanteen employees are eager to participate and apply for the honor of attending one of these outings. Their enthusiasm and commitment to make a difference in all they do is infectious. In 2012, they proudly joined the ranks of Certified B Corporations. The standards are rigorous including performance, accountability, and transparency – all things Klean Kanteen holds strong in their beliefs. In addition to adopting business policies that support environmental and fair labor practices, they partner with like-minded nonprofits and environmental organizations working to educate the public about health and environmental issues. When asked what their brand is best known for, co-owner Michelle Kalberer doesn’t hesitate. “Authenticity!”. She says they are known for being real. They walk the talk, understand it’s not about being perfect but more about being committed, and they take every opportunity to start a conversation. Ask any of the 62 team members and they’ll tell you the culture at Klean Kanteen is fantastic. Leadership has embraced the idea of work hard, play hard. Team members enjoy a monthly social hour, camping trips and pretty intense bowling matches. People are happy – the average employee tenure is over 5 years. Each team member receives 3 paid work days per year to spend volunteering at the organizations of their choice. Some choose their children’s school, others opt for park and creek clean-ups or helping at a local shelter. Whatever their choice, Jeff and Michelle feel it’s important to give back to the community and support their team members in how they wish to spend their time. The top 3 reasons team members love working there? 1. Family. It’s at the core of their culture. 2. Brand. Employees feel connected and passionate about what they do. 3. Fun. Employees enjoy what they do and love the culture. Why not? Michelle and Jeff grew up here and have chosen to raise their families here. Michelle remembers riding her bike through lower Bidwell Park as a child, playing at Caper Acres and frequenting local swim holes as a teen. As avid cyclists and outdoor enthusiasts, both Michelle and Jeff love everything Chico has to offer. Their employees enjoy an active lifestyle and Chico is a bike town providing ample trails and pathways to travel to and from the office. What makes Michelle most proud? The impact Klean Kanteen has had in changing people’s lives, the amazing team that she works with every day and the relationships with nonprofits who share the same goals. Chico grown and Chico proud.